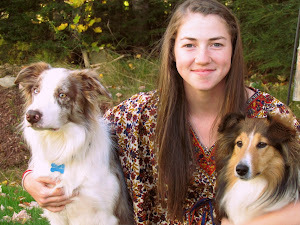 One girl, two dogs. Life, and a whole lot of things in between. As a kid who was head deep in competitive sports growing up, winning took a very intense meaning; get more points than the opposing team, cross the finish line first, jump the highest or the furthest. You needed to always be better than someone else. That is what they taught us, and that is what is expected from a "winning" team. Mostly, I was a part of a team of 12-15 girls, and to say it was always an emotional experience would be an understatement. Lots of blood, sweat, and mostly tears.Winning was always very serious for us and beating our rivals was ecstasy. 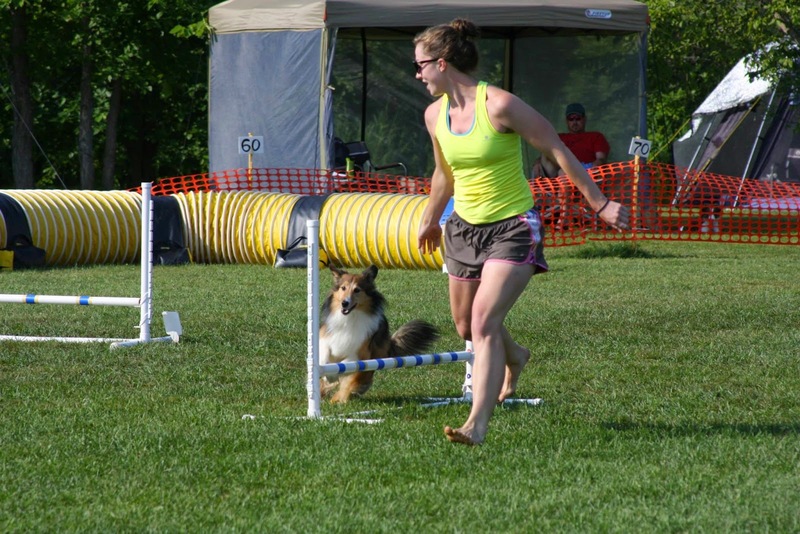 Once I started playing agility as my only sport, and grew up as a person, I've come to realize a lot of things about winning. Get this - winning isn't actually about winning. I've been adopting the mantra "Sometimes you win, sometimes you learn" for a long while now. It first seemed the most relevant this year at tryouts when we had a not-so-good first day. As society would see it, I was losing big time, and that's how I felt. But I took a second to look at what I was doing with my dog, and I realized I couldn't be losing entirely if I was there in the first place. I remember instagramming a blurry photo of Mach playing with toy from that day, and I felt it represented everything I was soaking in. I captioned "You either win, or you learn. Somehow we're always doing both." (obviously my ability to quote things is a little sketchy). But what I think is important here is this - there is no chance of losing if you're learning, in which case, you'll always be winning. Even if you are at the top, never miss the opportunity to learn and to grow. 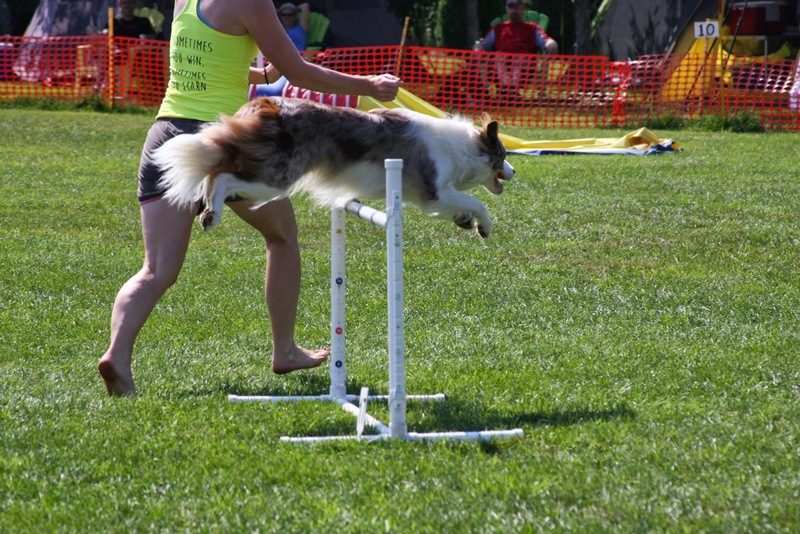 No matter what you're doing, whether it's playing agility with your dog in the backyard, or on the international stage. Whether you're on a university sports team, or the debate team...you can always win whether you come in first place or not. I know I used that exact line in a previous post, but I have been writing this particular post in my head for a couple months now. I've seen countless competitors over the years react to "losing" as if it were a dead end. One little mistake can take away a palpable victory, but that doesn't mean you can't find a million other victories that mean more than a fancy ribbon or trophy. You can have humility, and sportsmanship, and honesty. "Too bad it wasn't clean" and "What a heart breaker" are things that deem that run unsuccessful, and therefore a loss. A lot of people would see a run with a missed contact, a couple of knocked bars, or a refusal and think that person would be upset because they didn't "win"; because they lost the Q. Although the Q certainly feels good because you can hold something in your hands and say "Yeah, we did that! ", does the Q really matter at the end of the day? What I think matters at the end of the day, and what I think winning is have nothing to do with the Q. It has to do with the relationship and the feelings you get when you run your best friend. Winning is trusting yourself and your dog, and walking up to the start line with confidence.Winning is laughing when you make a mistake. 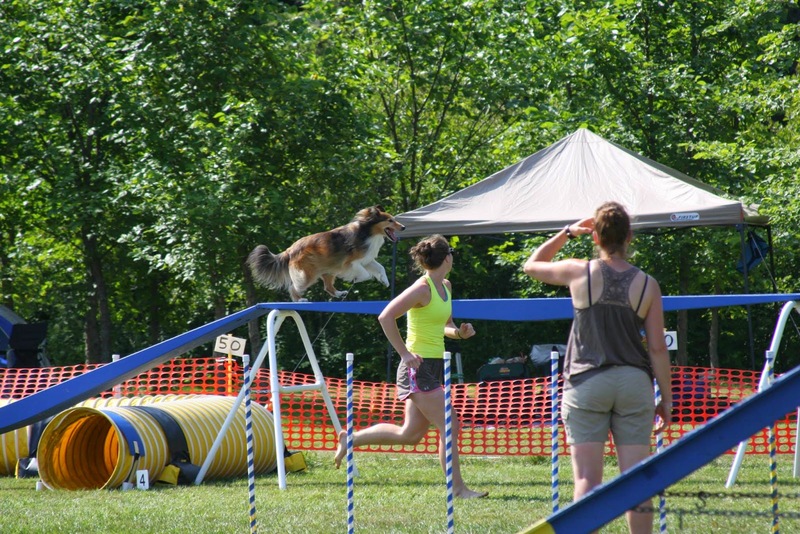 Winning is having fun, loving the sport, the dogs, and the people.Winning is being proud of yourself and your dog when things go wrong, and when they go right. Winning is congratulating those who beat you, and those who didn't - and meaning it. 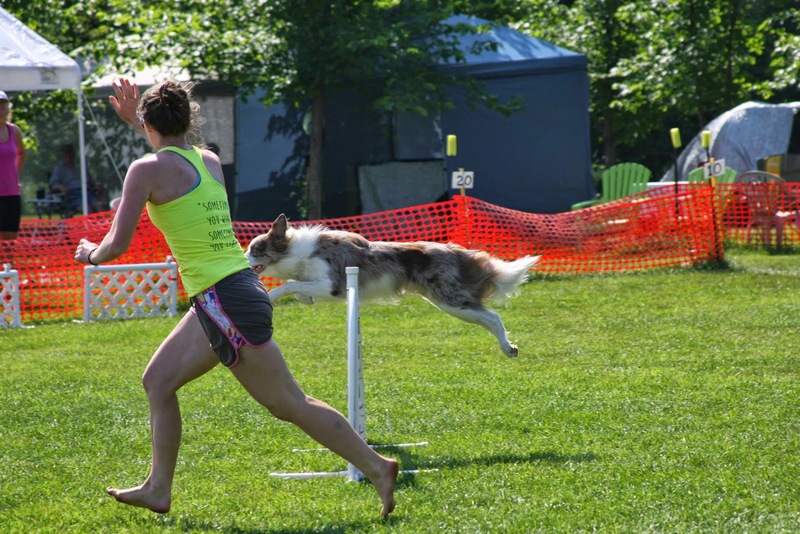 Winning is connecting with your dog around the entire course. Winning is balance inside and outside the ring. Winning is a lot of things, but it doesn't have to be "winning" at all. You don't have to always be better than someone else. The best victories can be when you do your personal best. If you're always trying to be better than someone else, you'll miss all the small victories you are achieving along the way. Sure, have external motivators, but without any internal motivators, you can only get so far. Learn from your mistakes, be confident, and hug your dog. That's how I win. Hey Mach, let's go to Europe!